The HTC One M9 may be out, but that doesn’t mean that HTC’s last effort in making a beautiful phone is not relevant any more. 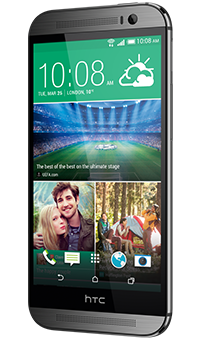 The HTC ONE M8 furthered the ultrapixel technology started by the M7, bringing with it the same BoomSound and Blinkfeed. All this housed in one of the best metallic bodies you can find on phones these days. There may already be an HTC ONE M9, but don’t let that put you off. The HTC ONE, the M7, set a new bar on how to make Android phones. A metallic finish, front facing speakers, a beautiful screen. This has it all. The front shows off the screen, which comes with on screen buttons. In fact, the buttons, despite the Lollipop update, still look like what they have traditionally looked like on Android, and do not indicate the Lollipop icons. Top and bottom of the front show off the HTC BoomSound speakers. There is also a front facing camera. The left side houses the microSD card, while the right houses the SIM. The volume rocker key also sits on that side. The power button on the top, while the bottom gives you ports for both microUSB and your headphones. The back though, is what it is all about. 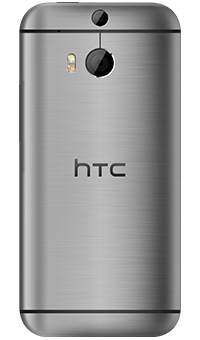 Beautiful finish, the HTC logo, the dual flash, and weirdly, a big camera and a smaller one. Overall, the metallic finish means that this phone feels a lot heavier in your hand than many of the other competitors out there. However, that is not a bad thing. A premium thing brings with it a certain presence, and it feels like HTC have mastered that here. As of this week, I got the Lollipop update on my phone, which was sent to me by Vodafone UK. While the icons didn’t change, and HTC Sense still survives, you do get the added features of Lollipop such as a more interactive notifications screen. Despite being an Android phone, there are a few quirks that come with HTC phones, that come in the form of the HTC Sense skin. Now don’t get me wrong, HTC Sense was what made Windows Phone pleasant before Windows Phone 7 came along. However, being a fan of vanilla Android, it does bother me a bit. The App drawer scrolls up and down instead of left and right. This is despite the fact that the desktop scrolls left and right. Blinkfeed, while useful, sits there and takes up RAM and a screen. There could be some privacy issues there too. The two cameras on the back combine to give you an ‘ultra’ 5MP image. It worked very well on the M7, but other phones have caught up now, with better images than the HTC One M8 available on the click of a button (or touch screen). The vibration. Oh don’t get me started about this. The HTC phones (including the One M7, and the One X) seem to have the most powerful vibration motor fitted. You can hear it vibrate anywhere in the house! It is rather unpleasant to touch too. There are highlights too, the front speakers being the main ones. Think a smart phone can’t deliver a good quality sound? Try this! The look and feel is another. It is available for free from £34.50/month. It comes in grey, silver and gold. Now that the M9 is out, you can bag this beautiful phone for a great price. This, along with the looks, the sound, and the feel makes it a great phone. It is already on Lollipop too, which is an added bonus.